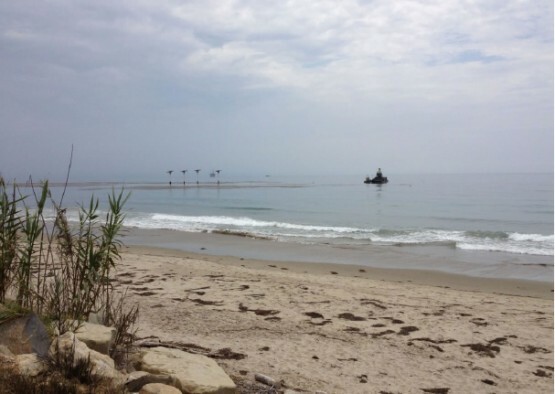 The Platform Holly Power Cable Replacement Project was required to replace an approximately three mile long, 46-year old, sub-sea cable that delivered power from the Ellwood Onshore Facility to the Holly oil production platform off the central coast of California, near Goleta. 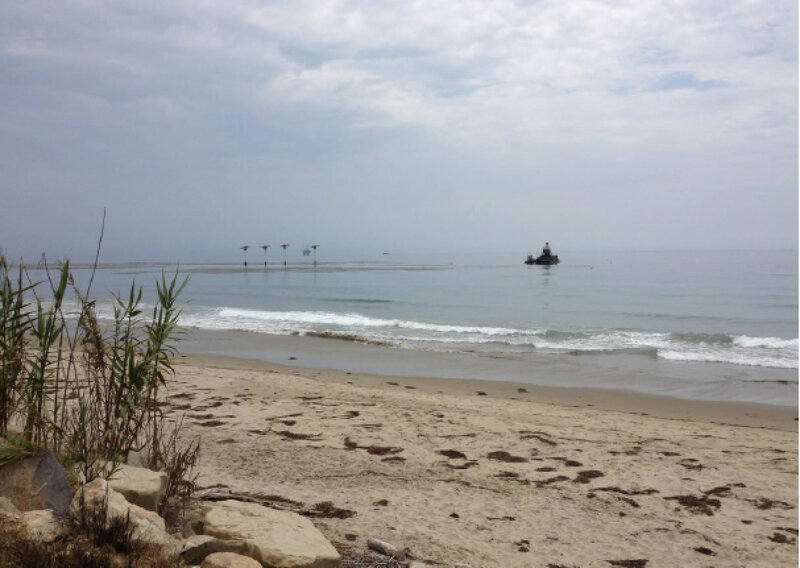 The HDD portion of the project consisted of installing a 10.75-inch OD HDPE pipe in a 2,250-foot bore beginning at the Elwood Onshore Facility and crossing beneath the beach and surf zone to an exit located on the ocean floor. Bennett Trenchless Engineers reviewed the HDD alignment, provided by Venoco and the HDD contractor, performed pipe stress calculations, analyzed hydrofracture risks, assisted with the preparation of an extensive drilling fluid release monitoring and contingency plan, developed design drawings, assisted Venoco in securing approval from the California Coastal Commission and California State Lands, provided training to the environmental monitors, and provided on-site inspection services and coordination with regulators during construction. Challenges included numerous environmental restrictions, managing hydrofracture risk, monitoring for hydrofracture in the turbulent surf zone and on the ocean floor, high angle joints and fractures in the bedrock with the capacity to absorb large volumes of drilling fluids, and highly variable bedrock which resulted in challenging drilling conditions. The contractor was very proactive in regaining and maintaining circulation when it was lost, but even so a hydrofracture occurred approximately 1,900 feet into the bore. The keys to successfully completing the project were the thorough drilling fluid release monitoring and contingency plan that all regulatory agencies had the opportunity to review and become comfortable with and maintaining open lines of communication throughout design and construction.